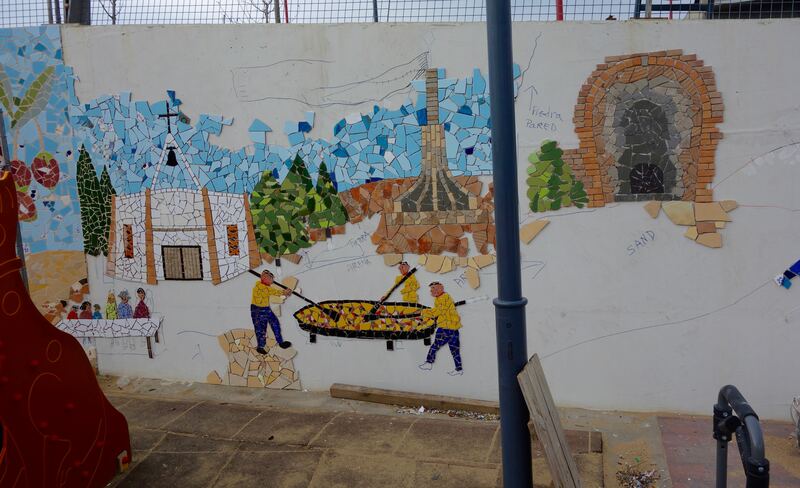 In progress: the giant paella at the Ermita during the 11 September celebrations. 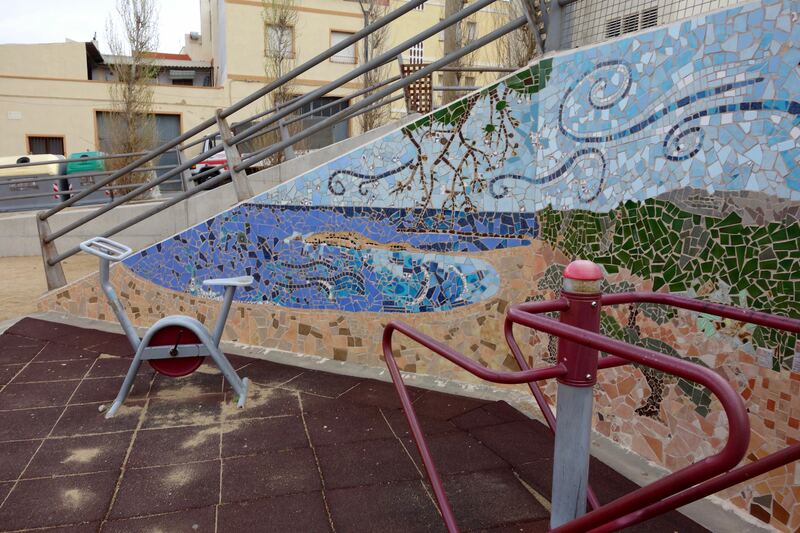 El Perelló’s giant mural in Parc de les Comes is now finished after 18 months of planning and another 18 months of work. 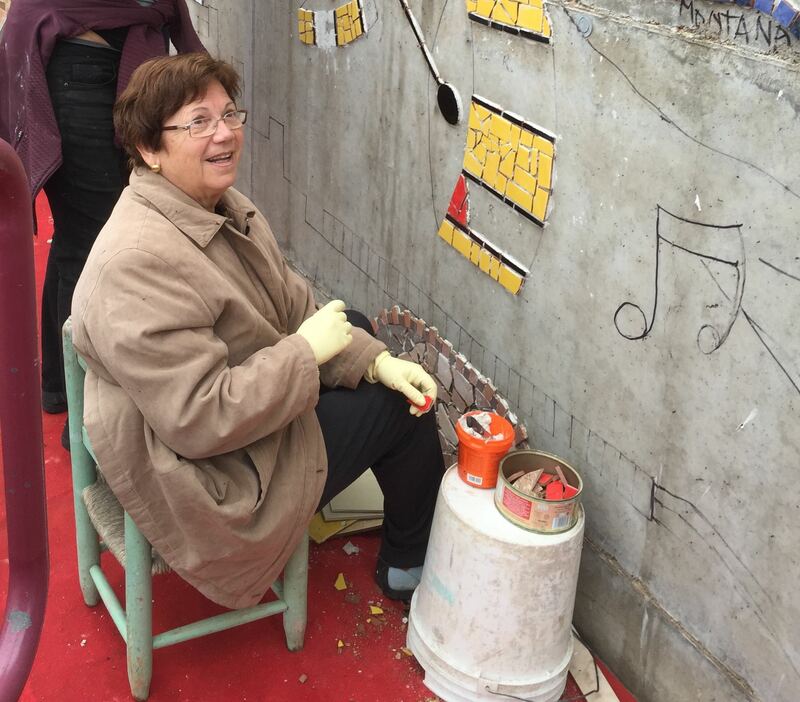 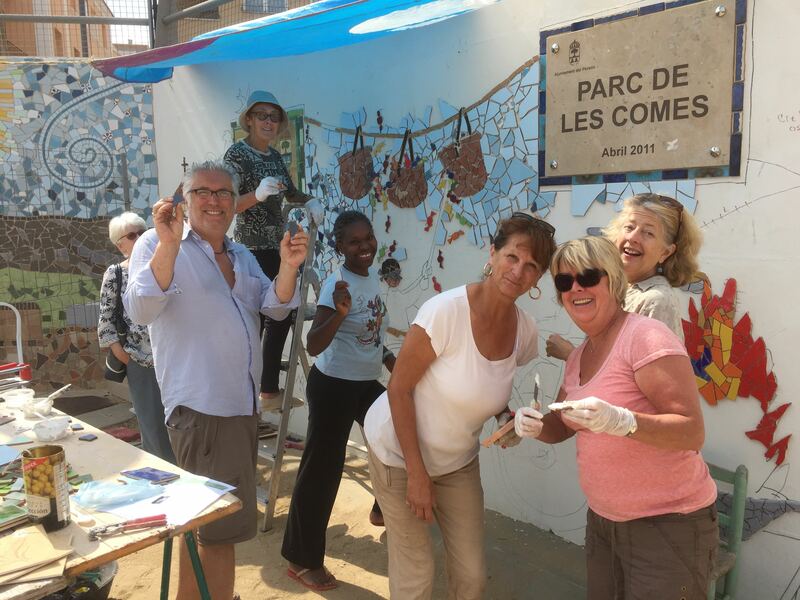 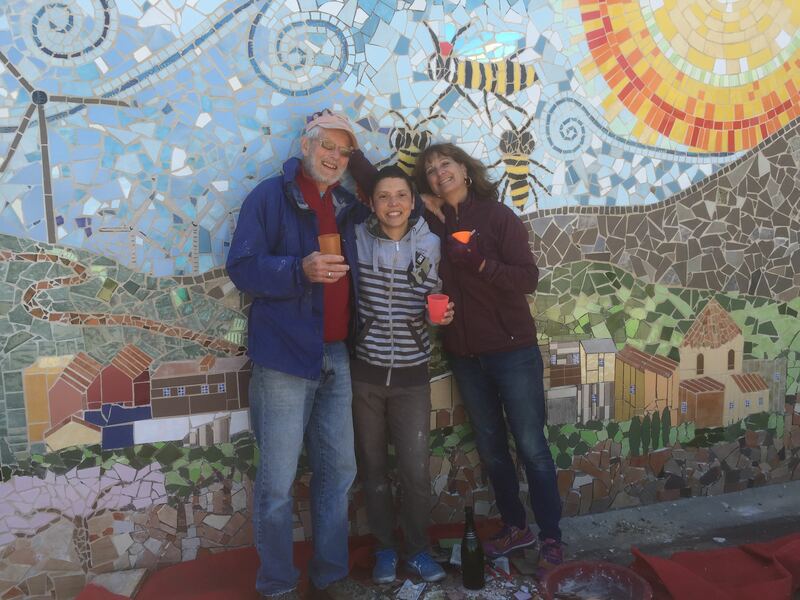 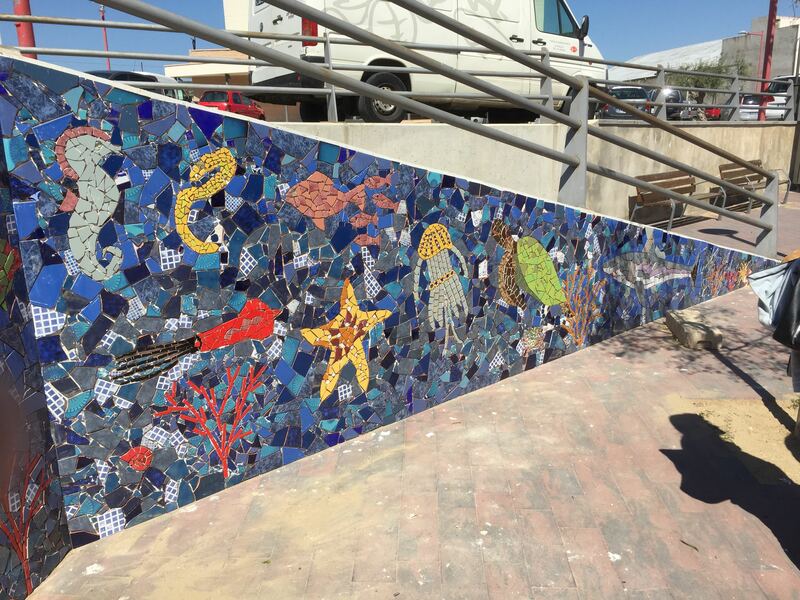 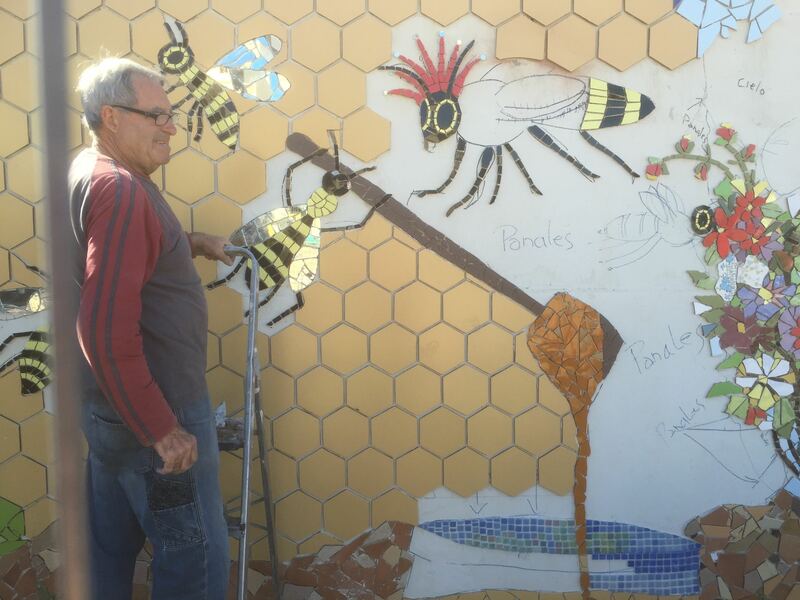 The project was devised and led by local artist Linda Bradish who brought together a total of around 50 volunteers of several different nationalities. 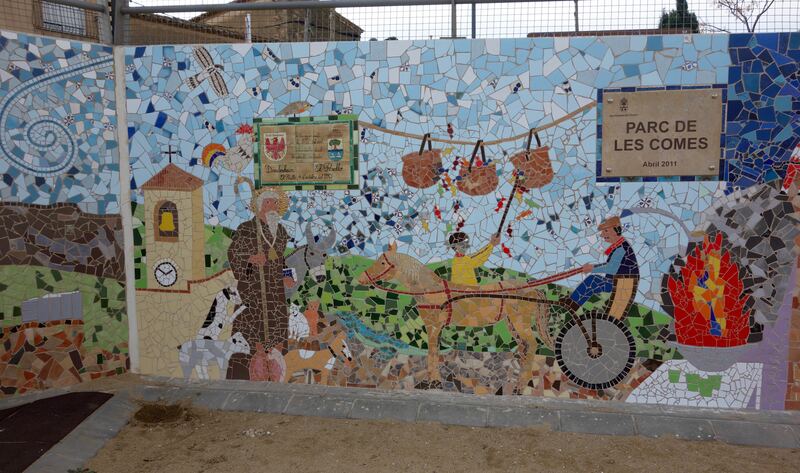 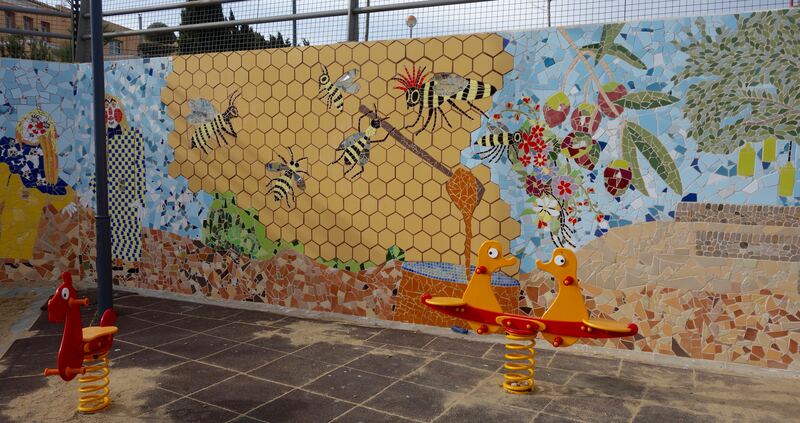 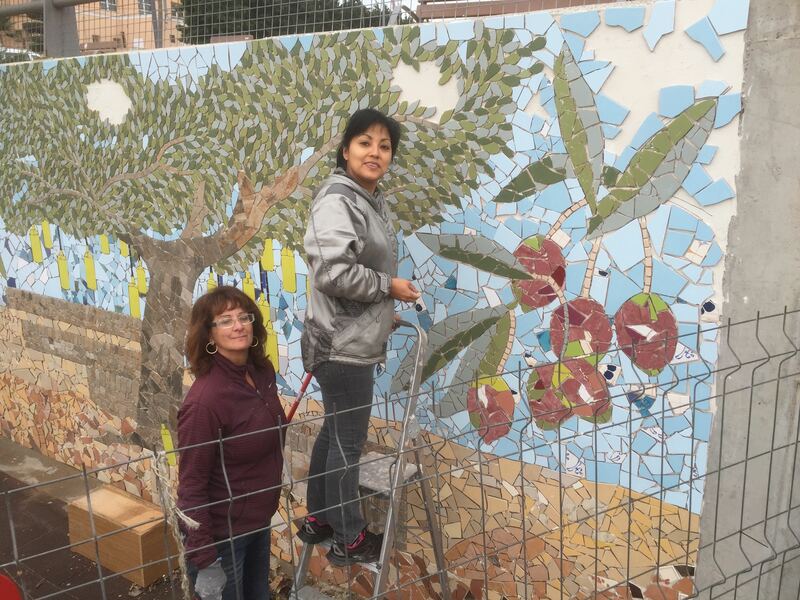 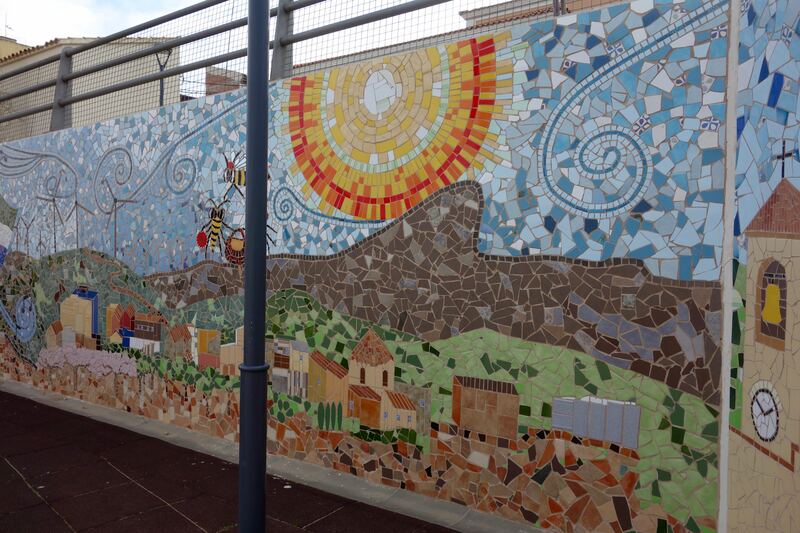 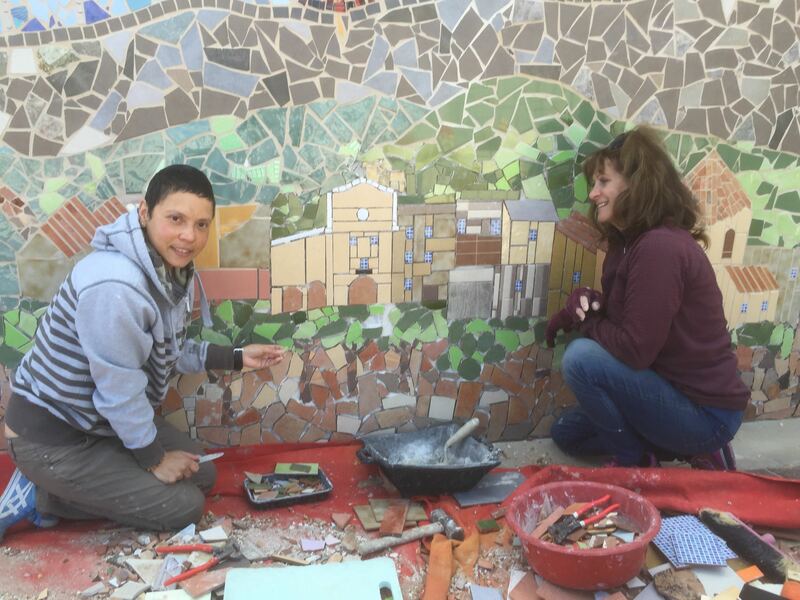 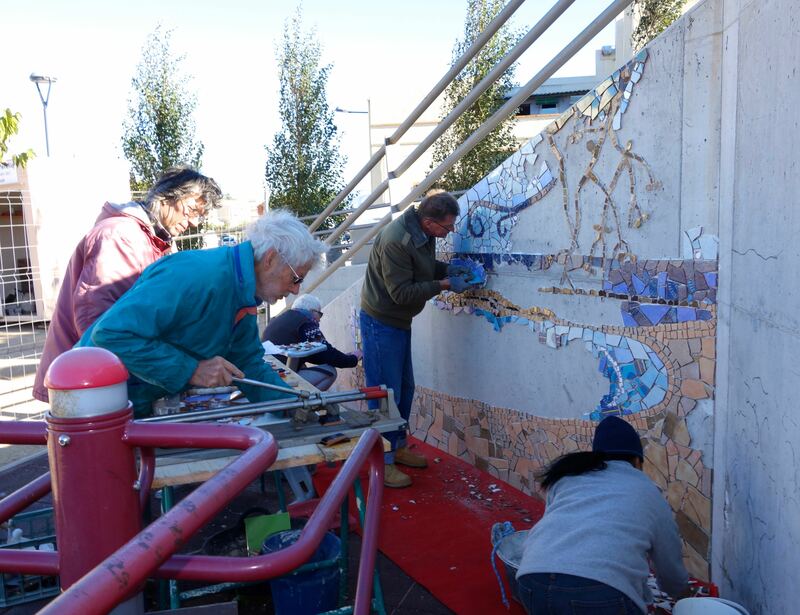 Together they drew up the plans and created the mosaic which depicts a rich variety of El Perelló’s attractions and events. 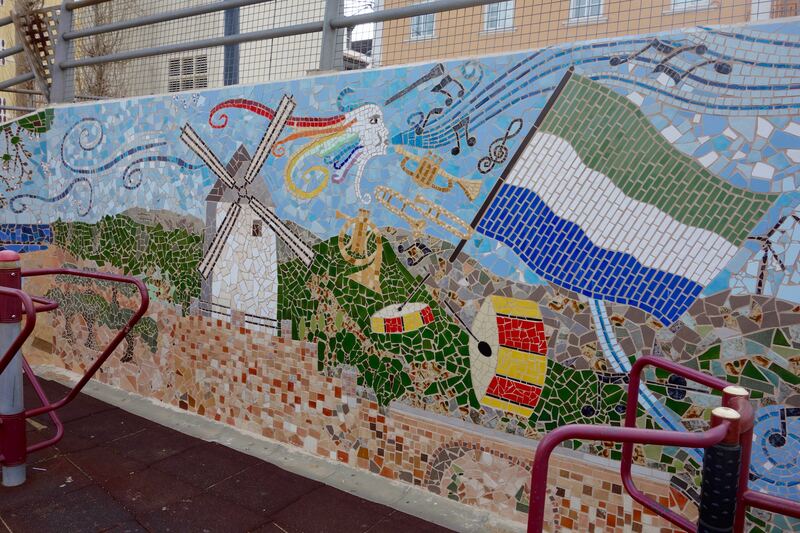 Thanks to Steve Bradish for the photographs.